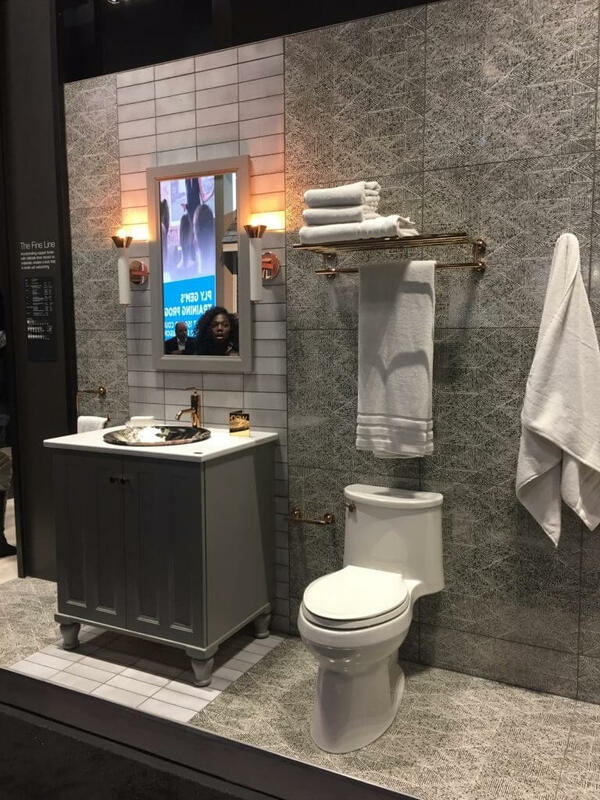 In Part II of our IBS design trends blog series, we’re sharing the feedback and highlights surrounding your home’s finishes. 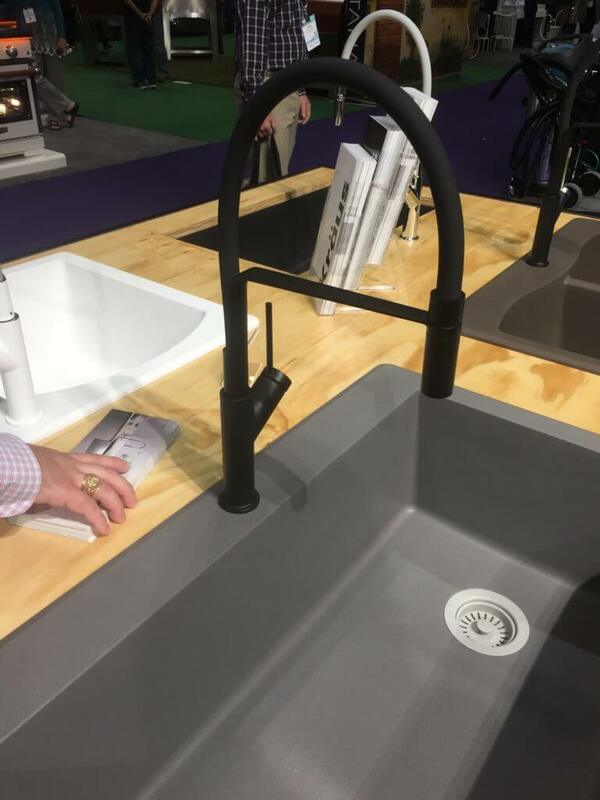 From countertop and tile materials to sinks and faucets, here’s what to expect in 2018. Starting in the Kitchen, the number one trend in cabinet layout and design is the use of open shelving. More homeowners are opting for a dedicated “messy” prep space (more insight in Part 1), and with the introduction of this luxury pantry, the added storage space eliminates the need for a lot of upper cabinetry in your main kitchen. By removing upper cabinets, you create a cleaner, sleek aesthetic in your kitchen and bath spaces. Additionally, less upper cabinetry means you are able to incorporate more windows into those spaces as well. Under island storage and lower cabinets are still very much here to stay; however, they too are getting a makeover. Many homeowners are opting to install drawers instead of traditional shelves and doors. 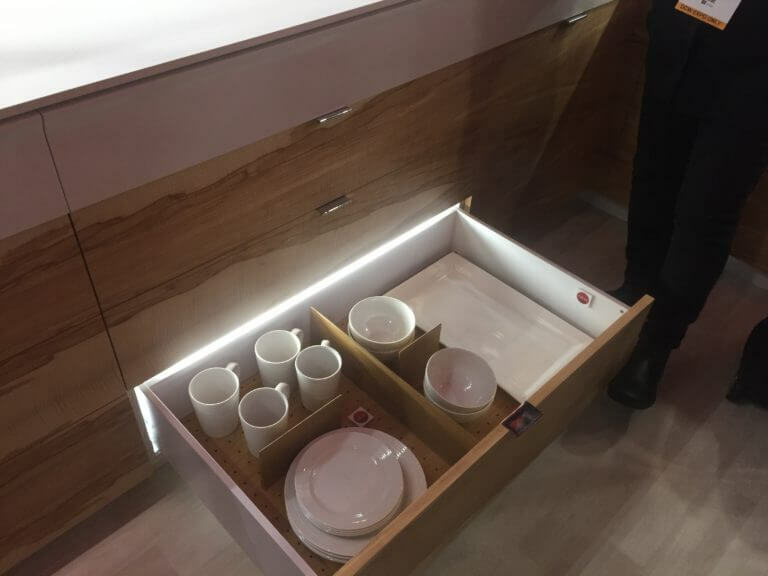 This transition from traditional cabinetry to drawer storage allows for easier aging in space as your storage becomes more functional and easier to access. When it comes to countertop options, high gloss finishes may be on the way out as honed finishes seem to be the newest trend in countertops. 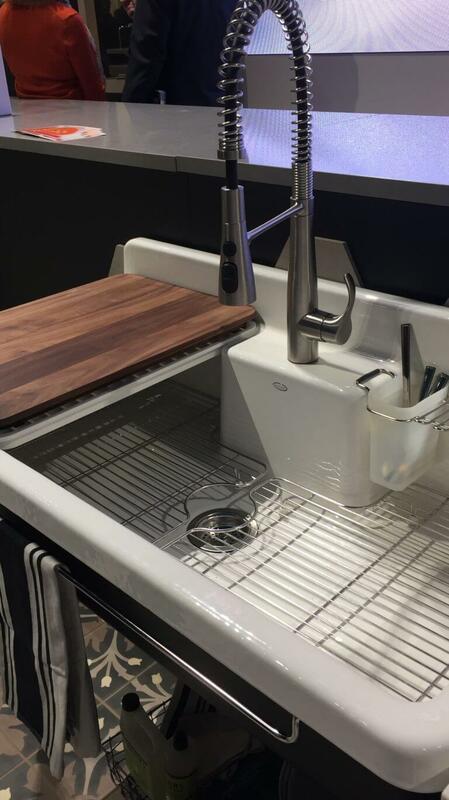 We expect to see more natural and softer finishes on countertops as it helps warm up the space. 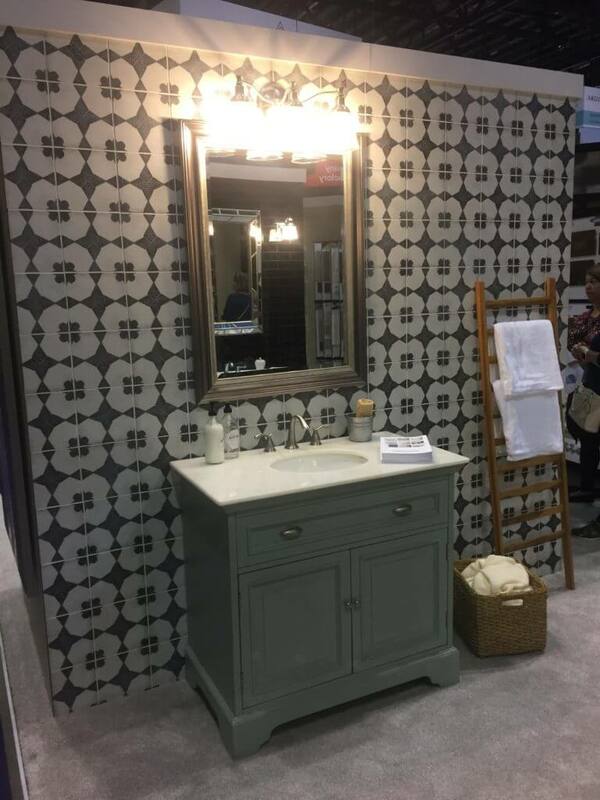 Geometric and encaustic patterned tile is also on trend, especially as feature walls in bathrooms and utility rooms. Textured tile is still a popular choice, especially wood-look tile as it helps warm up a space with natural hues. 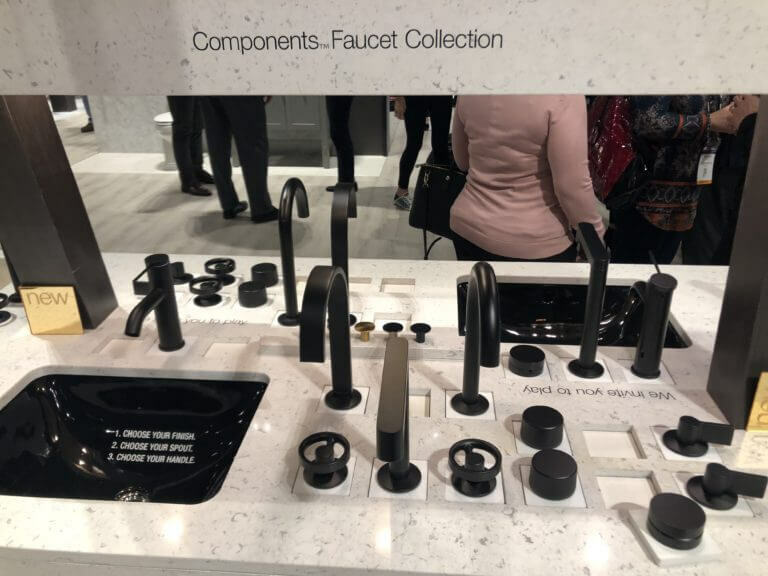 Lastly, we saw hundreds of new sink and faucet options and multifunction sinks that include cutting boards, drying racks and additional workspace options were a focus as they continue to rise in popularity. 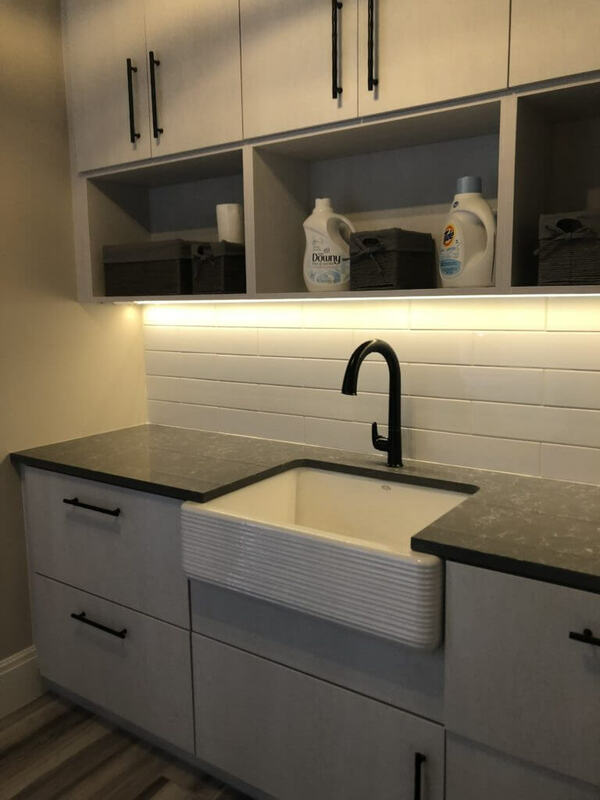 Many brands are even reworking the traditional drainage feature turning it into a design element that elegantly hides your disposal and drains. 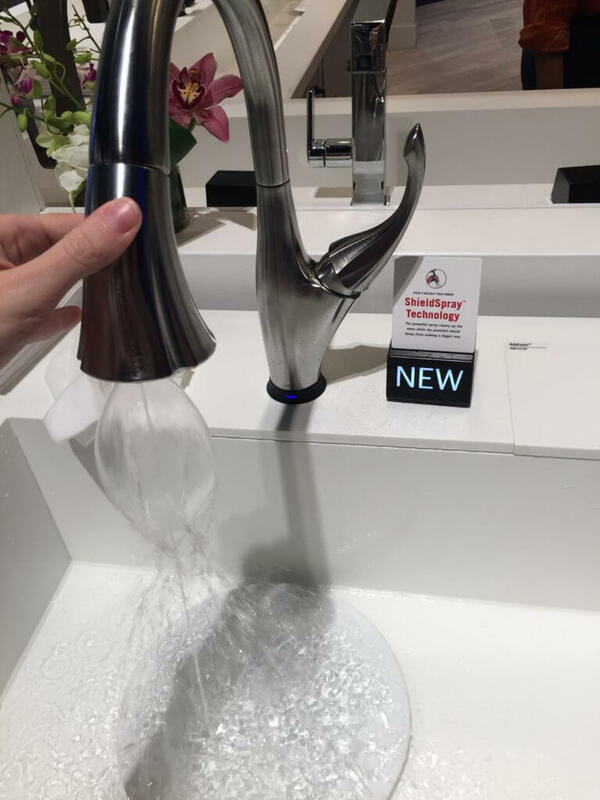 We saw a variety of beautiful facet options including smart facets with touch activated sensors or splash-guard water flows as well as chrome, matte black and even silicone finishes in thousands of different shapes, sizes and functions. That’s a wrap for now. Next week we’re diving into all things tech as the smart home continues to evolve.